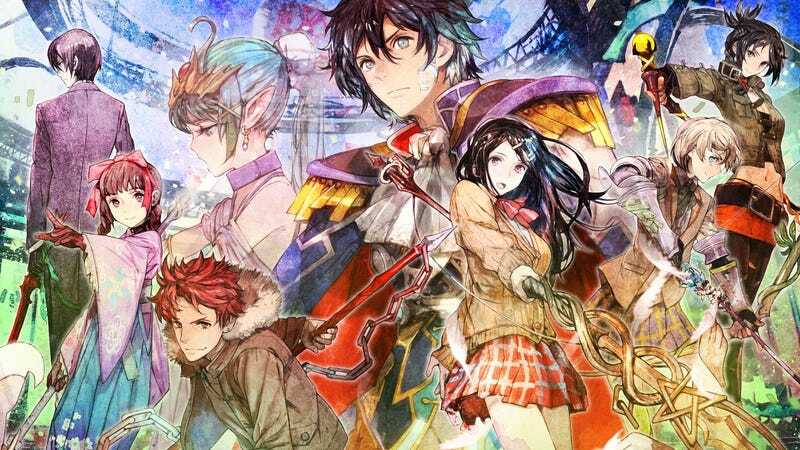 Tokyo Mirage Sessions, alternatively known as Shin Megami Tensei x Fire Emblem in Japan, was a crossover project between Atlus and Intelligent Systems/Nintendo which released for the Nintendo Wii U in 2015 for Japan and 2016 for the US/EU/AU. Ever since its initial announcement, I and many others eagerly awaited what could potentially come out of this project, and when the end result was finally revealed, it looked amazing and different, though clearly taking more after Shin Megami Tensei than Fire Emblem. Of course, western fans had to wait an entire year more for the game, but the final product that was delivered broke my heart. See, Tokyo Mirage Sessions was a victim of what I refer to as “Nintendo’s Prude Era.” It’s one of a handful of games that saw alterations made to the story and characters out of a fear of public backlash or political leanings, the other notable example being Xenoblade Chronicles X. The changes ranged from costume alterations to be less revealing, replacing a gravure photo shoot entirely, and altering the plot surrounding it entirely. While the localization was handled by Atlus themselves, it’s hard to believe that this was Atlus’ handiwork when looking at another recent title of theirs, Persona 5. It was later revealed that the changes were made because Nintendo had restrictions/regulations in place for different regions that required that such adjustments be made, but even that is at odds with other games on the system like Bayonetta 2 that got away with everything. Even the developers were ultimately split on the changes, with one saying he liked them and another saying he didn’t, though the latter eventually came around after seeing some positive response from western fans. However, it’s clear that western fans were split on the changes, as evidenced by a popular fan-made patch that restored all of the altered content in the game, so long as you were willing to mod your Wii U. The issue, of course, was made more pronounced by the fact that you couldn’t just import the Japanese copy as the Wii U was region-locked, not to mention it lacked English subtitles anyway. A definitive edition on Switch could rectify the issue entirely, either by swapping out the alternated content for the original content, or by including English subtitles in the Japanese release. I’m so hung up on getting the original Japanese version mainly because of changes that were made to the second chapter of the game. If it were just the costume adjustments and omission of the hot springs DLC, I’d be irritated but still willing to buy the game. However, they changed the whole message of the second chapter and that ultimately caused me to completely swear off buying the Wii U version of the game. The image to the left illustrates the most basic change they made, both to chapter 2 and the game as a whole. And keep in mind that the characters were up-aged to 18 in the western release, so all arguments of “Well they’re under 18 and that’s creepy” goes out the window. In the original Japanese version of the game, it revolved around a gravure photo shoot, which involves stuff like bikini’s and underwear. The message had to do with the main character being uncomfortable with the idea, but in the end accepting how she looks, thus improving her self-confidence, and going through with it(After some dungeon romps and getting rid of the creepy cameraman.). The English version, however, turns the gravure photo shoot into a regular fashion shoot(And one with a hideous outfit to boot.). In this version, the main character was more embarrassed(And just embarrassed, no other factors.) rather than uncomfortable and this ultimately changes the message and context. And from what I recall reading, not enough was even changed in this chapter to the point where there was an obvious disconnect. Of course, the half-assed nature of the alterations was apparent even outside of this chapter. There were times where there was obvious censoring(And I mean real censoring, like smoke obscuring things that wasn’t present in the Japanese version. ), but then that censoring would disappear in the next shot despite what it was trying to cover up still being visible. I really want to play this game, but I refuse to touch it as is, and would love for it to come to Switch with at least the option of the original Japanese version with English subtitles.